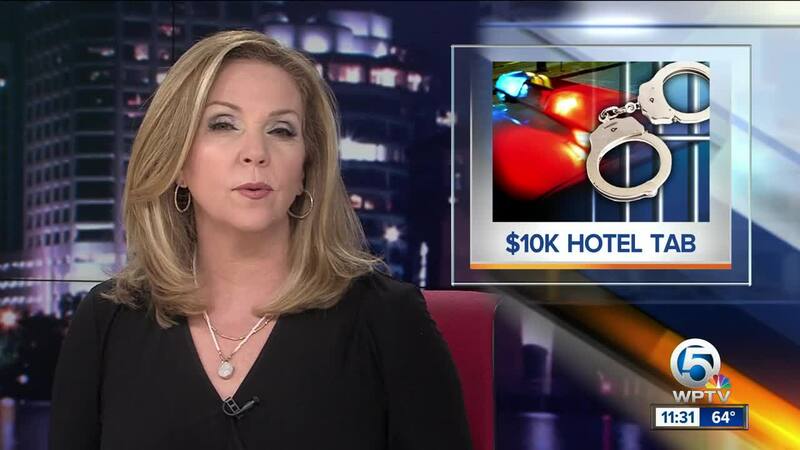 Authorities say a couple racked up more than $10,000 at a Florida Keys hotel and then took off. KEY LARGO, Fla. (AP) — Authorities say a couple racked up more than $10,000 at a Florida Keys hotel and then took off. Monroe County Sheriff's officials say Lee and Ashley Roe stayed at the Hampton Inn on five separate occasions in recent months. The hotel manager says they didn't have to provide a credit card initially because they checked in through the hotel's reward program. Eventually they did provide a credit card, which authorities said was stolen. The pair was arrested at a residence on Saturday and were both charged with grand theft of at least $10,000.